The Florida swing of the PGA Tour wraps up this week with its fourth and final event, as the Valspar Championship gets underway on the Copperhead Course at Innisbrook Resort & Golf Club in Palm Harbor, Florida. Located just outside of Tampa, the Copperhead Course has played host to the Valspar Championship since the event’s inception on Tour in 2000. While Innisbrook has four courses available to golfers, the Copperhead Course is the lone one used for the Valspar Championship. Here’s everything that you need to know about this week’s course. The origin of the course: While Innisbrook Resort & Golf Club was built in 1970, the Copperhead Course would not come about until 1974. It was the second of four courses to be built at Innisbrook, as the Island Course was first constructed in 1970. Copperhead was originally a 27-hole track before nine of the holes were used for the development of the Highlands North Course, the third course to be built at Innisbrook. The fourth and final course to be built was the Highlands South Course. Copperhead rated as the sixth-most difficult course on the PGA Tour in 2018. 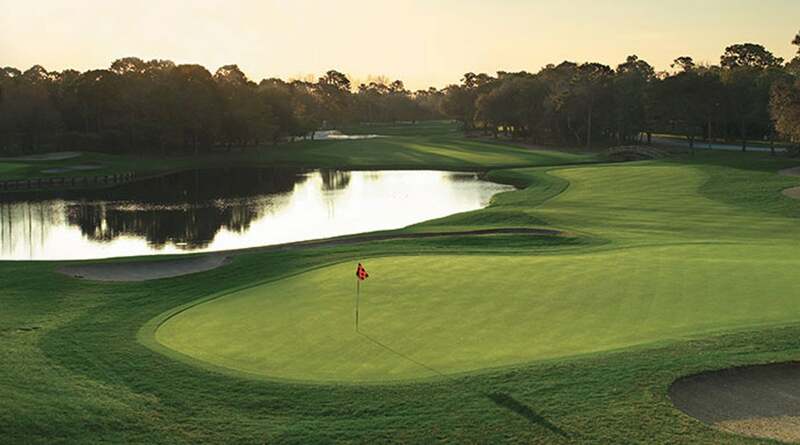 The design of the course: Designed by Larry Packard, the 18-hole par-71 Copperhead Course features five tee boxes for golfers to choose from and runs nearly 7,300 yards during the Valspar Championship. Both the fairways and greens at Copperhead are made from Bermuda grass. Like most other courses in the Sunshine State, Copperhead seeks to bring the natural landscape into play. The fairways are lined with pine trees and the course is described as having a rolling terrain. The course also has no shortage of lakes and ponds that come into play as water hazards. The Copperhead Course is one of the most difficult tracks to play on the PGA Tour. Easiest hole: The par-5 11th hole, nicknamed “O’s Alley”, is a long and narrow track that runs 575 yards. Its scoring average at 4.668 is the lowest of any of the par-5’s on the Copperhead Course. The smallest percentage of bogeys on the course occur at this hole (six percent), as it accumulated only 28 bogeys last year. It’s also the only hole on the course where there wasn’t a single double bogey or worse in 2018. The key to this hole is the frontside bunker, which will determine whether or not one can make it to the green in two shots. Most difficult hole: Nicknamed “The Moccasin”, the intimidating par-4 16th hole runs 475 yards. Its scoring average at 4.300 is the highest of any of the par-4’s, and it is the longest par-4 on the Copperhead Course. In addition, the fewest number of birdies and pars on any of the par-4 holes occur at the 16th tee. On the other hand, the 16th hole had the most double bogeys or worse on the Copperhead Course in 2018. With water stretching the entire right side of the fairway, the 16th hole was rated as one of the 30 toughest holes and 20 most difficult par-4’s on Tour last year. The key to this hole is off the tee, as a well-hit driver will set one up with a long second shot to the wide green.